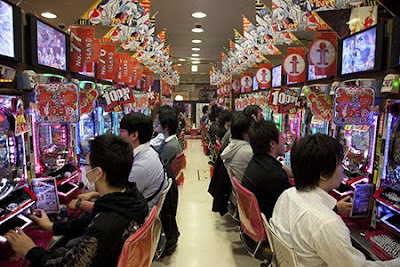 Prepare yourself for sensory overload before walking into a Pachinko Parlor in Tokyo. Bright lights and heavy cigarette smoke hover over rows and rows of flashy machines, which look like the offspring of a pinball and slot machine. And the noise is deafening-blaring music and pinging metallic sounds compete. Pachinko is a popular arcade game in Japan. Small metal balls are purchased and placed into the machines where they fall through pins or into pockets. The latter produces more balls, which can be traded in for prizes. The machines often have anime themes. This parlor in Tokyo’s Electric Town had several floors and most of the players were men. I’m back in action after a month of photographing the five boroughs of New York City for a guidebook and will be posting at my usual pace. Hi, I am one of your new feed subscribers. I will definitely support your blog with comments and social media (my digg and stumble username is ChrisRTW) and I am happy to share with you and spread the goodness. 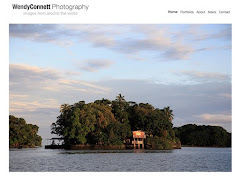 We also run a travelblog and I would be more then happy to see you around. glad to see you are back in the swing of blogging...and glad the photoshoot went well..
Glad to have you back! I'd love to see the borough shots. Pachinko sounds like the Japanese version of video arcade mania, I think it would drive me crazy. oh, i love Tokyo's garishness sometimes. Chris, Welcome aboard and will def check out your blog. Lola, are you going soon? FlyGirl and Heather, very fun to observe. Jen, Me too as well as the fabulous design everywhere.